2011 was a massive year for Triumph dealer Ongar Motorcycles with the arrival of Triumph’s new Tiger 800 and next year is set to be even bigger thanks to the new Tiger Explorer. Triumph have now established themselves as the leading brand of motorcycles in the UK. The strength of Triumph is rideability, durability and longevity. The triple engine offers a truly satisfying ride and the bikes hold their value superbly too. Ongar Motorcycles have been selling and servicing Triumphs since day one and now have 21 years of working with the marque. The Essex-based dealer runs a full range of demo bikes – so if you are in the market for a new Triumph you should make Ongar your first destination. It’s a great place to experience the brand first hand. The all new Tiger Explorer arrives in March. It’s a 1200cc adventure bike with shaft-drive, high power and meaty torque. Cruise control, traction control and ABS are fitted as standard. The bike will set new standards in the adventure market and follow on from the success of the Tiger 800. A full range of Triumph accessories will be available. A deposit of £250 will secure your place on the waiting list as supply will be limited. A demo will be available from March 2012. Easily accessible from the M11, A12, A13, A120 and A130, and only 10 minutes from Stansted Airport, Ongar is one of the world’s longest-established Hinckley Triumph dealers. A highly professional team have over 70 years of experience between them. The extensive showroom has over 90 new and used machines on display and there is a full range of Triumph’s demonstrators available on request. So whether you are picking between a Street Triple and a Speed Triple or a Rocket III and a Thunderbird, you’ll be able to try before you buy. 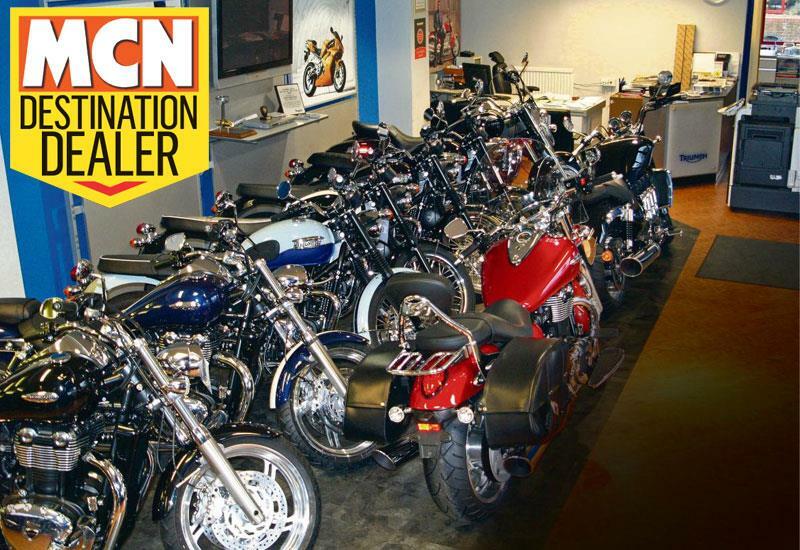 What’s more, Ongar Motorcycles is already known as the world’s leading Rocket III dealership. If it’s kit you are after, you’ll be able to find everything you need in the 2000sqft showroom dedicated to Triumph clothing and accessories.